Prepare for the next chapter in car combat. 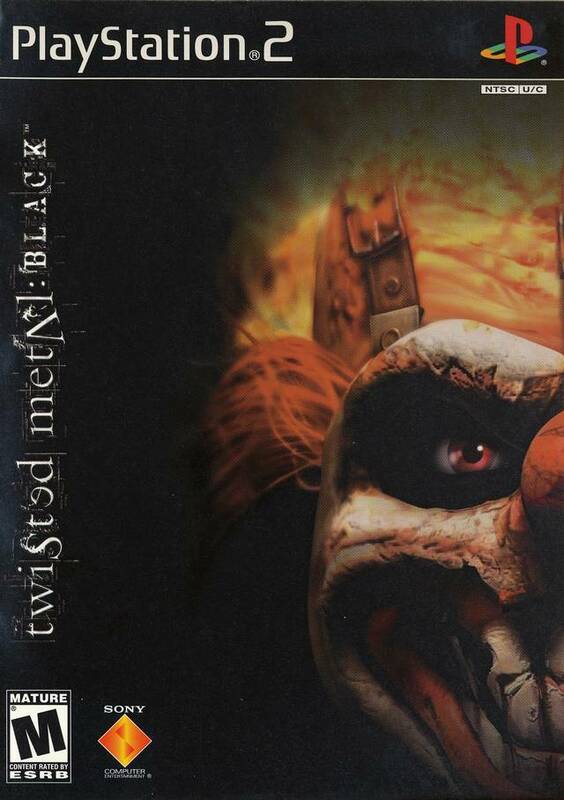 The latest installment in the Twisted Metal series, Twisted Metal Black, has Calypso returning to host another contest of wreckage and devastation, in which the victor is allowed to have one wish granted. 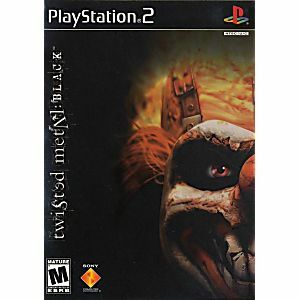 Calypso has plucked a motley crew of contestants straight from the lunatic asylum, promising these otherwise doomed souls a chance to have one wish granted, should they emerge victorious in a deadly battle of twisted metal. Slip into the minds of insane contestants competing in over 20 deathmatch battlegrounds and nine single-player levels. Drive 14 inventive vehicles equipped with tons of weapons in a variety of multiplayer and co-op modes, and discover the horrifying tale behind each of these tortured souls. 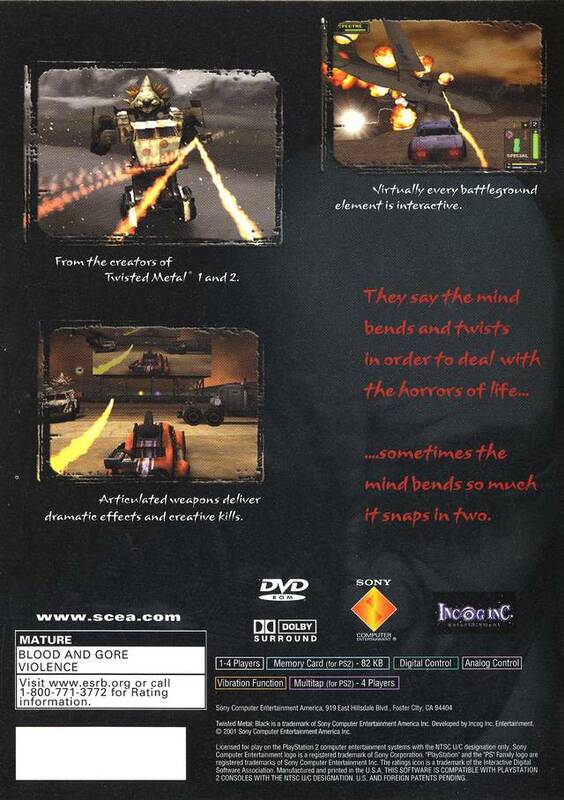 Full of action but little outdated graphics. Came out early in PS2 life, good party drinking game still! Reliving the good old days this was my first game I owned when ps2 first came out Fat console great to get it back again. Blowing crap up and driving outlandish cars. love this game! Highlly recomend it to all. Bought from site. First purchase and first time playing. It's a pretty sweet game. Awesome graphics, and has a creepy factor to the story. Great game and great site!! Will be ordering more! !